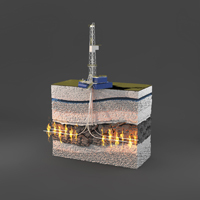 Fracking involves pumping water, chemical fluids and sand underground into rock formations to fracture the rocks; the granular sand keeps the cracks open, thereby allowing the release of oil and natural gas from the fractured created rock veins. A trade secret, generally, is any information that has economic value, is not generally known to the public and is subject to efforts to keep the information secret. Trade secrets provide a competitive advantage to their owners and are rightly afforded many special benefits and protections under the law. Former employees, partners and vendors are not allowed to take with them or use another’s trade secret – so long as it retains its status as a “trade secret.” A trade secret may not be publically disclosed or it loses its status and protection as a legal trade secret. Classifying the fracking fluid recipe as a trade secret has significant legal effects. A trade secret does not have to be disclosed publically. Certain groups have sued seeking disclosure of the chemical cocktail recipe that is used for fracking, for various reasons throughout the United States. Some states have also sought disclosure of the chemicals before issuing the requisite fracking permits. However, other states, have allowed companies to declare the recipe a trade secret and rule that the open records laws do not apply or require disclosure. Companies seeking to protect their information as legal trade secrets, whether secret recipes like Coca Cola or fracturing fluids – must take specific and consistent intellectual property protection steps to maintain the status of their proprietary and competitive information as a legal trade secret. Working with an experienced legal advisor in developing, auditing and improving a sound intellectual property protection plan will prevent the unintentional disclosure and resulting loss of critical intellectual property.